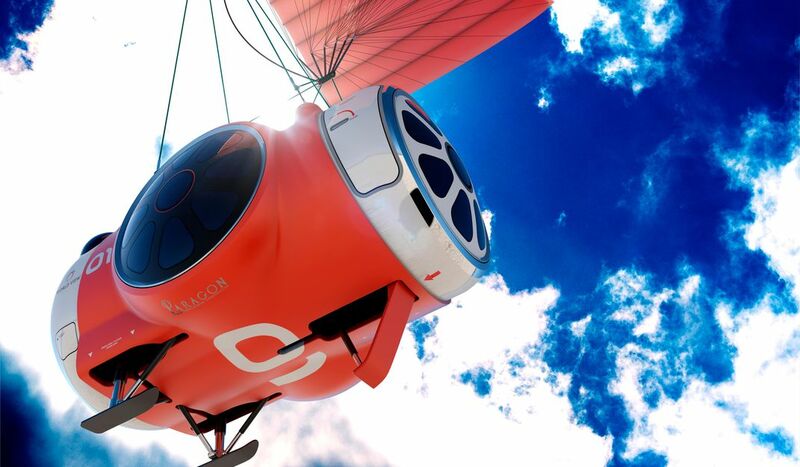 Companies on both sides of the Atlantic are building capsules to carry you into the stratosphere. The six passengers arrive at the launch pad a few hours before dawn. They watch as the giant balloon, its material thin as a hair’s breadth, is filled with helium until it towers over their little capsule. The pilot and copilot repeat the safety procedures: Buckle your safety belt during launch and landing, no smoking in the lavatory. The passengers strap in, the hatch is sealed, and the capsule and balloon are released. Two hours later, they’re in what looks to most people like outer space. By the time it stops rising, the balloon has expanded to about 40 million cubic feet, the size of a football stadium. It floats in the top of the sensible atmosphere like an ice cube in a glass of water; it drifts slightly, but to the passengers, it feels virtually stationary. There’s no engine roar, no humming machinery; the capsule is as quiet as a library. A gourmet breakfast is served, perhaps with mimosas from the bar. A few passengers slip on headphones to enjoy their own soundtracks for the sunrise. Even after the sun emerges from behind the blue-rimmed curve of Earth, at 100,000 feet, stars are visible in the black sky. After a couple of hours of floating, it’s time to come home. The pilot flips a switch and the capsule detaches from the balloon, floating leisurely back to Earth under a parachute. You can make a reservation today for a trip just like this. And although it won’t happen this year, or even next, soon you can become a member of a very elite group: those who have traveled to the top of the stratosphere. X Prize-winning flight of SpaceShipOne. Neither company can offer a trip to space—in the United States you’re not considered an astronaut until you’ve cleared an altitude of 50 miles, well above the balloon trip’s ceiling—but they’re betting that near-space can offer a similar experience. For the past two years both companies have been testing and refining their concepts, using unmanned balloons to take up small scientific payloads, mostly commercial satellite elements for testing in near-space. Both are taking modest deposits on the ticket price, with the assurance that in or around 2017, ticketholders will be given a time window for their trip to the stratosphere. 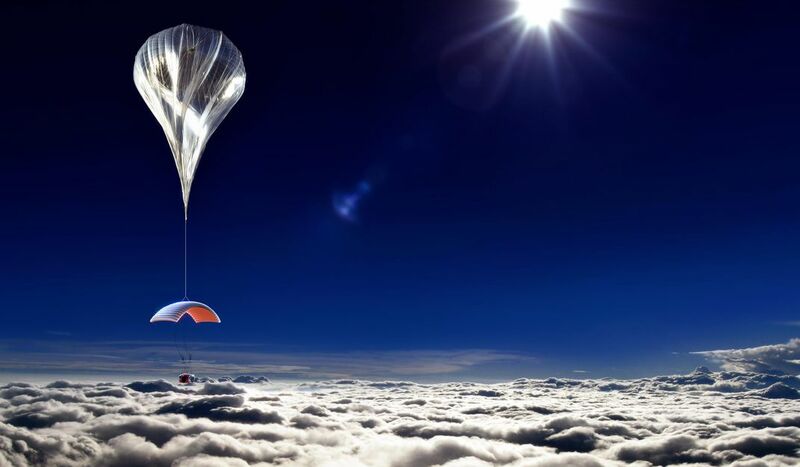 Back in 2012, when Zero2infinity was the only outfit working on stratospheric tourism, the company talked to Paragon about providing the life support system for its capsule. Paragon surprised many by terminating the relationship, and a few months later began describing a product similar to Zero2infinity’s: World View. Annelie Schoenmaker, who handles external relations for Zero2infinity, claims there’s no bad blood about this—the company easily found another supplier—plus, the presence of competitors can be encouraging to investors. “It’s reassuring,” she says; “it means that people see that this is a real business, that this is something that really is a good idea. 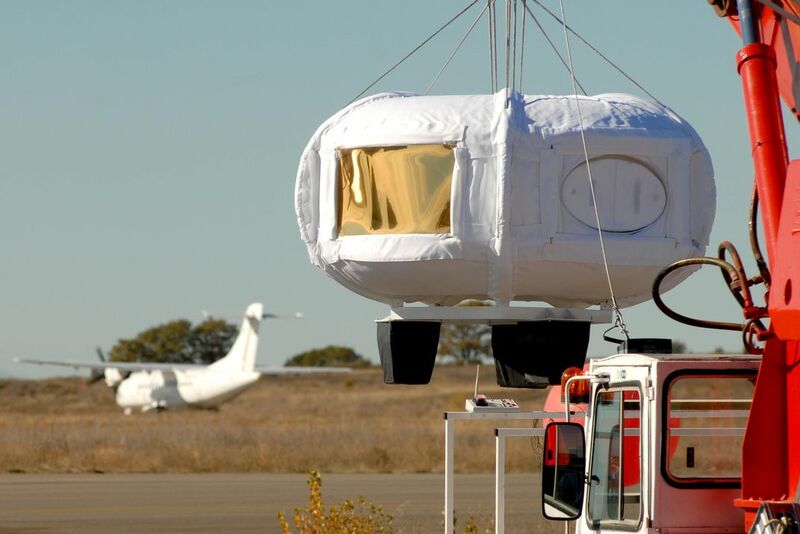 It would be worrying if nobody was copying you.” She should be happy then that a Chinese company recently announced that it will begin testing a capsule for stratotourism, though the announcement was light on details. Despite the intimate connection between World View and Zero2infinity at the start, the competing capsules have differences in their designs. In addition to the two pilots, World View’s seats six passengers; Zero2infinity’s seats four. World View’s capsule resembles a truncated airplane fuselage, a tried-and-true approach to high altitudes; Zero2infinity’s is shaped like a doughnut, which allows the capsule to be reinforced in the middle so outward-facing passengers can gaze out the wraparound windows without turning their heads. People have been traveling into the stratosphere by balloon since 1931, when Auguste Piccard and Paul Kipfer rode in a pressurized gondola (Piccard’s invention) to 51,775 feet. A series of Navy and Air Force programs in the 1950s and 1960s used pressure vessels or pressure suits to get balloonists higher, some to above 100,000 feet. Skydiver Nicholas Piantanida set an unofficial record—123,500 feet—in 1966, but a later attempt went awry when his helmet depressurized. His team brought the gondola down, but Piantanida suffered brain damage from lack of oxygen. He died four months later. High-altitude ballooning had claimed other lives over the years, and the elaborate life support systems created for both recent successes—Felix Baumgartner’s well-publicized leap from 127,852 feet and Eustace’s later, higher one—make clear that ascents to the stratosphere require careful planning and protection. Aerospace engineers have pretty much mastered the “shirt sleeves” environment for airplanes and space capsules. Even in the worst-case life support scenario, the capsule can always detach and descend quickly back to breathable air, says Taber MacCallum, the chief technology officer at World View. “The consequences of a catastrophic failure in a balloon,” he says, “are simply that you fly home.” In a sudden decompression, he says, there is more than enough emergency oxygen on board. Zero2inifinty’s capsule will seal off affected sections. The absence of oxygen and lack of pressure are the gravest threats, but not the only problems. At high altitude, the temperatures are frigid. In the vacuum of space a capsule encounters no air molecules, so it loses heat relatively slowly through radiation. But when a balloon rising to very high altitudes encounters increasingly colder air (as low as -112 degrees Fahrenheit), heat is transferred from the capsule’s surface to cooler air molecules just outside, and strong wind quickly replaces the now-heated air molecules with cold ones. Properly insulating the capsule is one of the trickier engineering challenges ahead, as is balancing passenger comfort against avoiding problems like windows fogging up. Though it may seem counterintuitive, the least safe portion of a stratospheric balloon flight is right after launch, when the balloon is still close to the ground. If anything goes wrong, there isn’t much time for the pilot to open a parachute and steer the capsule to a safe landing. 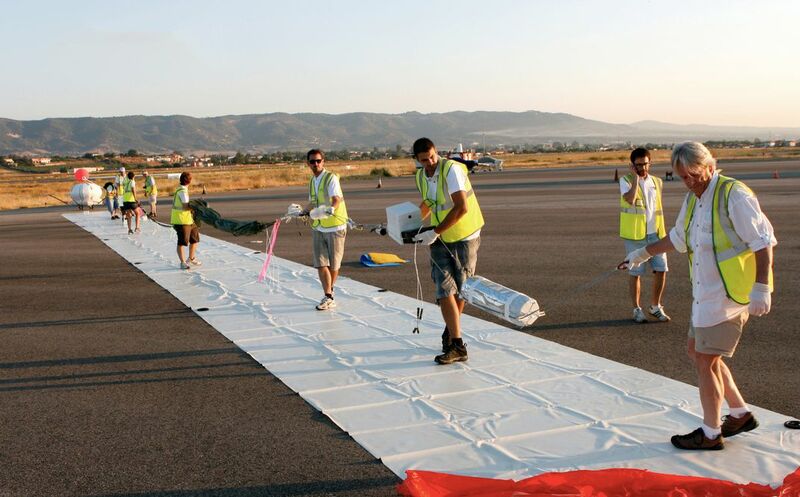 One way to mitigate the risk of trouble early in the flight is to take care that the ultra-thin polyethylene balloon doesn’t tear, so World View will use a crane to stand the balloon up before inflating it, bypassing the traditional processes of unrolling the balloon as it inflates or laying it out on the tarmac, both of which are more likely to lead to a tear. Both World View and Zero2infinity are planning a further safeguard against early balloon failure: Open the capsule’s parachute early, perhaps even before liftoff. With the parachute already deployed, a failure even at a few hundred feet would result in the same drifting landing as if the capsule were descending from on high. And the passengers won’t feel a jolt when the capsule detaches from the balloon. Still, both companies plan to pack several backup chutes (those, should they be needed, would come with the customary jolt). Testing thus far, including a flight hauling 130 pounds for NASA, shows a fairly benign descent. But the full-scale capsule and passengers will weigh 8,000 pounds in all. In theory, the parafoil simply needs to be proportionally larger as payload weight increases, and the company hopes to be flight testing with 8,000-pound dummy capsules by the end of this year. But MacCallum admits that, because parafoils are very rarely designed and used at this scale, testing could hit a wall. A giant parafoil could be harder to keep inflated than a smaller one, and the larger the backup chutes have to be, the more energy it will take to deploy them. Another problem: needing to fly as often as twice a week to make the business viable. The number of balloons needed for all those flights could be a big hurdle for the companies; balloons for stratospheric flights aren’t reusable, and they’re not easy to come by. According to MacCallum, if World View and Zero2infinity each fly 50 times in their first year, as planned, they’ll need double the current worldwide production of suitable balloons. He says World View is developing its own balloon manufacturing plant and working out whether reusable balloons are feasible. Regulatory red tape is another big unknown. World View’s vehicle has been classified by the Federal Aviation Administration as a crewed spacecraft, so it will have to adhere to all the safety requirements that go with that designation. The FAA has been known to lag behind the expansion of new technologies, so it remains to be seen how easily World View can get over the “space qualification” hurdle. Europe doesn’t yet have any relevant regulations, so Zero2infinity is working with the Spanish and European governments to develop them. Of course it’s all moot without paying passengers. MacCallum says that many of the current ticketholders are business people or scientists. Zero2infinity’s Schoenmaker sees the time aloft as an opportunity for reflection. “You realize that the Earth is very fragile; it’s really a planet. And that’s our place in the universe,” she says. “It changes your perspective.” Or so she imagines. MacCallum describes the flight as potentially life-changing, which is all the more reason to make sure that passengers have a chance to fully experience it however they choose (he relishes the thought of “the ultimate Facebook update”). World View customers will spend up to two hours Earth-gazing—and according to MacCallum, that’s the real beauty of the balloon—it will give the chance to really look around and appreciate the view. 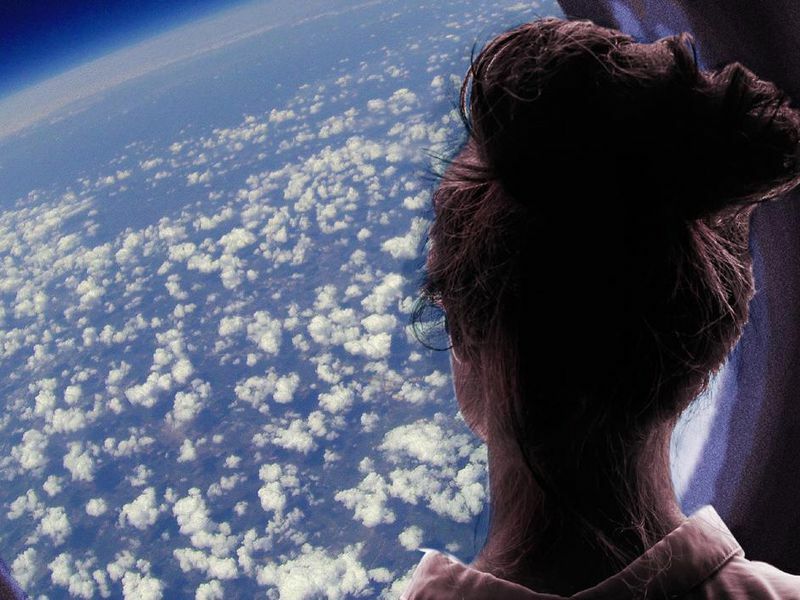 A 2002 survey by consulting firm Futron showed that seeing Earth from space was a big reason for wanting to fly to space, but that potential space tourists were most strongly motivated by the possibility of being a pioneer. That could be bad news for the customer flow. 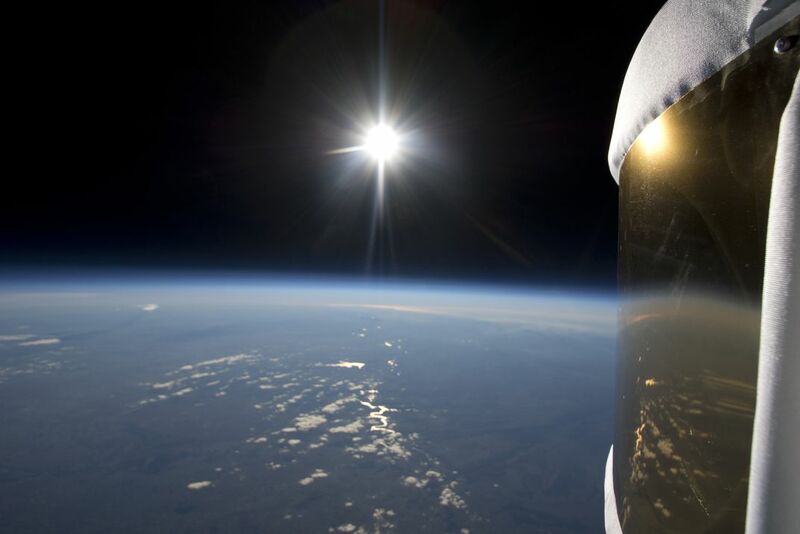 Clint Wallington, a professor at Rochester Institute of Technology’s Hospitality and Tourism Management Department, has taught a course on space tourism, and points out that the number of people lining up for a stratosphere trip, however many there are at the start, could be self-limiting. “You’re going to see people who want to be ‘firsties’ as much as you see adventure people,” he says, meaning that people might not want to do it if a thousand Joe Schmoes have already done it before them. Even so, the survey questions asked respondents only about orbital and suborbital options; at the time there was no balloon option. Significantly more people said they’d be willing to shell out serious cash for a flight if, at some point in the future, they were able to take a companion, or if the fitness requirements were lowered, or if the company could largely eliminate the risk of being blown up. All of which are the balloon company’s biggest selling points over competitors Virgin Galactic and XCOR, which are offering rocket-powered rides into suborbital space for $200,000 and $75,000 respectively. 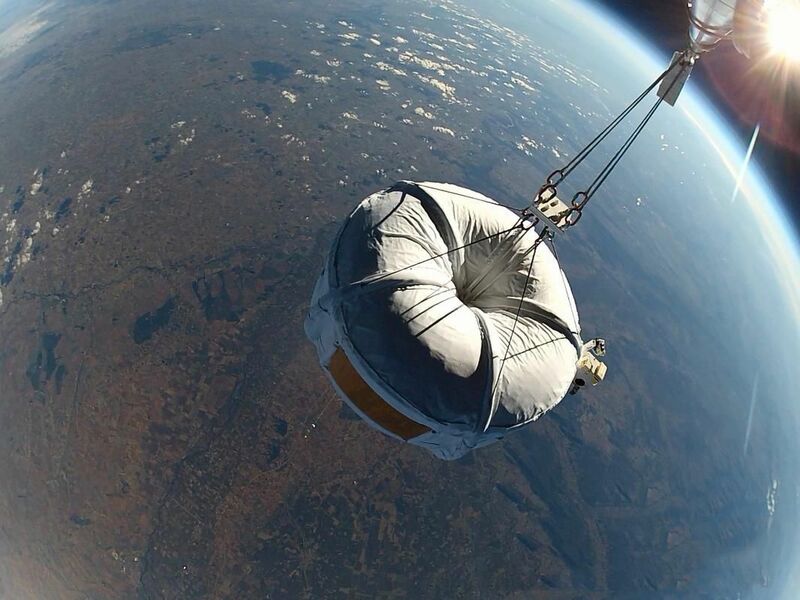 On a balloon ride to the stratosphere, there’s no fuel to explode and no reentry to botch. Rocket rides require passengers to be strapped into seats most of the time, while balloon passengers will be permitted to get up and move around. Rocket-riders will spend only about five minutes at altitude before they have to strap back in for the rapid descent (“Just about the time you get your wits about you and the person next to you stops throwing up, it’s time to come home,” says World View’s MacCallum), while balloons allow about two hours. Balloons are slow, ascending at about 11 mph and descending not much faster. And unlike orbital and suborbital flights, passengers won’t need to undergo training or pass a fitness test. Neither World View nor Zero2infinity places restrictions on who can fly: The elderly and children are welcome. If you can fly on a commercial airliner, they say, you’re good to go, and you might find the balloon ride even gentler. But it’s not entirely clear how such untrained and untested folks will react. “It’s just an unknown,” says MacCallum. “We’ve talked to doctors about it, flight surgeons, and the consensus is: Who knows? Nobody’s ever taken a person to the stratosphere who wasn’t trained.” That’s partly why both companies plan to have two pilots on a crew; one will always be available to “deal with” passengers’ reactions, should the need arise. Balloons are also cheaper to operate than rockets, and they require next to no infrastructure to launch and retrieve—Zero2infinity is even considering bringing the balloon and capsule to clients anywhere in the world, or at least the closest spot with suitably calm winds. Rockets are loud, while inside the balloon capsule the loudest sound will likely be conversation. And unlike emission-less balloons, rockets pollute; a recent study showed that a growing commercial space industry could have significant impacts on the global climate. World View’s price matches XCOR’s: $75,000. Zero2infinity’s ticketholders, paying €110,000 (about $130,000) each, will get a bit more for their money. Passengers will arrive in Córdoba two days before their flights so that they have enough time to rest before their ascent. While they’re getting over their jetlag, passengers will hear talks by visiting scientists and learn more about their flight, all in a comfortable and, of course, high-end atmosphere. Nigel Goode is a partner in the design firm Priestman Goode and head of the team designing the World View capsule’s interior. He says it’s the attention to detail that reminds passengers that they’re in a very expensive machine: “If anything, people will notice it more if it’s not quite as good” as their expectations. The trick to designing the capsule, he says, is to make the capsule not only safe, but safe-looking. “You look at an aircraft and you’re not thinking that the shell of that aircraft is only a couple of millimeters thick,” he says. Drinks and food will help. MacCallum recalls the age of Zeppelins, when luxury lounges were slung beneath airships like floating dining clubs. “No real spaceship should be without a bar,” he says. But Clint Wallington, the space tourism professor, doesn’t necessarily buy the balloon experience’s luxury element. Storing, heating, and serving truly gourmet food might require more space, weight, and crew attention than the companies have to spare. “The posh factor,” Wallington says, “doesn’t add up to much. ”Of course, some people may never feel comfortable with the risk of high-altitude flight. Evan Demestihas is a lifelong space enthusiast and one of World View’s early ticketholders, but his wife, who is also a space enthusiast, won’t be joining him. He is a bit of a thrill-seeker—in 2004 he took a MiG flight to 80,000 feet. It wasn’t much of a trip, though—“It was 32 minutes, wheels up to wheels down. My adrenaline was barely kicking in when we landed”—which is why he says he’s interested in the World View Experience. Don’t worry, Philippe, we’re not quite there yet. What Created the Universe’s Cold Spot?